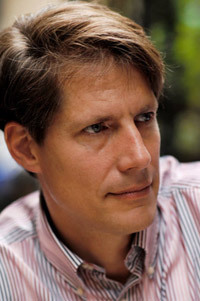 Hugh Pope is the Turkey/Cyprus Project Director for International Crisis Group, the independent conflict-prevention organization, opening its Istanbul office in 2007. His work focuses on writing reports and commentaries about EU-Turkey relations, the Cyprus problem, and Turkey and its Middle Eastern neighbours. Prior to joining Crisis Group he was a foreign correspondent for 25 years, most recently spending a decade as The Wall Street Journal’s Turkey, Central Asia & Middle East Correspondent. A South Africa-born Briton with a degree in Oriental Studies from Oxford University, Hugh Pope is the co-author of Turkey Unveiled: A History of Modern Turkey (a New York Times “notable book”), Sons of the Conquerors: the Rise of the Turkic World (an Economist “book of the year”), and, most recently Dining with al-Qaeda: Three Decades Exploring the Many Worlds of the Middle East (excerpted by the UK’s Prospect Magazine and Foreign Policy in the US). In 2009/10, he was a Bosch Fellow at the German Marshall Fund of the U.S.’s Transatlantic Academy in Washington DC. Can you give us a little historical background to the current tension between Turkey and Syria? The new tension derives from frictions on a number of tracks, the personal, the regional and the international. 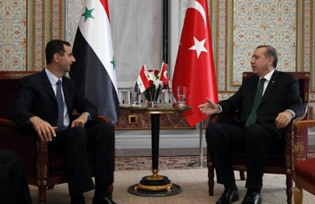 On the personal level, Turkish PM Erdogan feels personally betrayed by Syrian President Assad, in that Assad promised Erdogan that he would do things on reforms but has done little except exert maximum pressure on his population. On the regional level, Syria has become a cockpit of Turkish rivalry with Iran, after 10 years in which Turkey seemed to be far more in Damascus’s favour. Finally, on the international level, Turkey is playing a foreign policy hand that seems to necessitate that it stays very close to the United States on questions of Syrian policy, which is likely to lead to even more frictions. Historically, it’s an interesting reversion to the situation before 1998, when Turkey and Syria spent decades on the opposite sides of the old Cold War divide, including open Syrian support for separatist Turkish Kurd insurgents, the PKK. And now that relations are getting worse again, there are some signs of at least indirect Syrian interaction with the PKK. Syria has always lived in fear of a pincer movement between Israel and Turkey but as relations between Turkey and Israel have cooled recently the timing seems a little strange. The driver of the current Turkey-Syria tension has little directly to do with Israel. That said, another paradox of the situation is that there are some in Israel who would prefer the stability of the current Assad regime, for the same reason that Turkey is concerned about Syria namely that if the regime falls there may be a period of chaos which would be damaging to both Turkey and Israel. It seems an odd moment for the Syrians to be provoking the Turks by supporting the PKK, is the Syrian support for the PKK actually taking place as far as you know? Such Syrian support that there is for the PKK is probably mostly confined to atmospherics: tolerance of PKK activists in Syria, which is nothing new, and PKK flags being waved at pro-Assad rallies and such like. There is nothing like the old influence that Syria exercised when the PKK leader lived in Damascus (in fact, he’s now in jail in Turkey). For Syrian arms/finance to reach the PKK, they would have to cross somewhat hostile terrain in U.S.-controlled Iraq. Also, the main financial support for the PKK comes from the Kurdish diaspora in Europe, not Syria. There is also speculation that Syria is not the real issue that it is in fact Iran which is not happy about seeing Turkey become the number one regional player. Is it in fact Iran that is supporting the PKK to destabilize Turkey while all the while hiding behind the skirts of Syria? There are rumours about Iranian interest in accommodating the PKK but the evidence currently suggests that Turkey and Iran, for all their new frictions, are collaborating to some extent in their mutual interest to block the rise of Kurdish separatism. Turkey is by all accounts harbouring Col. Riad al-As’aad and about 60 Syrian soldiers that are carrying out raids against the Syrian army from Turkish territory and with the protection of the Turkish government. This too seems like an incredible provocation. What is going on here? So far this seems to be symbolic rather than the final step towards Turkish intervention in Syria. But certainly, Turkey is in new foreign policy territory here. There is further speculation that there are Iranian soldiers fighting to support the Asad regime in Syria. Have you seen any evidence of that? Is NATO using Turkey’s worsening tensions with Syria as a cloak for a potential operation against Syria? NATO is almost certainly not involved in Turkey’s actions on Syria. However, the US probably is, but outsiders cannot know to what extent. Presumably Turkey does not want an actual full scale war with Syria – what are Turkey’s long term policy goals with Syria? Presumably they do not want a disintegrated Balkanized Syria on their doorstep. In the long term, Turkey wants security, markets for its factories, and if possible some prestige from its engagement in the Middle East. In recent years Turkey’s main aim has been to try to foster the emergence of a functioning nation state system in the Middle East, with free visas for more travel, integration of infrastructure, free trade areas and high-level political dialogues. Turkey is horrified by the idea of the Balkanization of Syria, Iraq or anywhere else in the Middle East, since it sets back its policy on all these fronts. Turkish foreign policy seems to have become very unpredictable and emotional, is there a method in the madness? Where is Turkish foreign policy (for the region) actually heading? Increasingly, PM Erdogan is leading on foreign policy matters, and often refers to his own emotions. So there is certainly the impression of a more ad hoc approach based on Erdogan’s feeling disappointed, betrayed, insulted and so on. The main problem is that Turkey has loosened the ties of its traditionally strong, long relationship with the European Union, which had gone a long way to institutionalizing reforms and predictability in Turkish internal and external policy. It is not clear when Turkey will come back to its EU process, but given the disarray in the Middle East, and the likelihood that Europe will look a lot better in a few years time than now, I’d bet that it will not take much longer for Turkish leaders to recognize that they are on the wrong road.